The Country Music Hall of Fame® and Museum recently (8/19) hosted a reception for its new exhibition Tammy Wynette: First Lady of Country Music, Presented by Great American Country Television Network. The exhibit, which runs through June 12, 2011, features video narration by Faith Hill. The reception was supported by RJ Young. 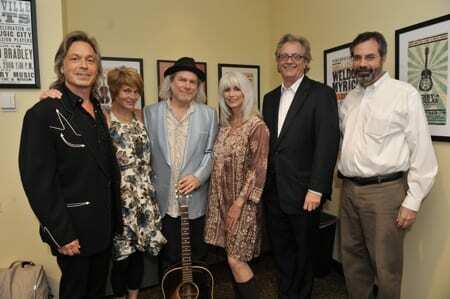 Buddy Miller performed for the third and final time on Tuesday (8/24) as part of the Country Music Hall of Fame® and Museum’s annual Artist-in-Residence series. Special guests for the sold-out show included longtime friends and collaborators Shawn Colvin, Jim Lauderdale and Emmylou Harris. Guests for the previous two shows included Bill Frisell, Patty Griffin, Tom T. Hall, the McCrary Sisters, Darrell Scott and Lee Ann Womack. Recaps, along with photos and video clips from all three evenings, can be viewed here.